GI Joe Action Figure section. 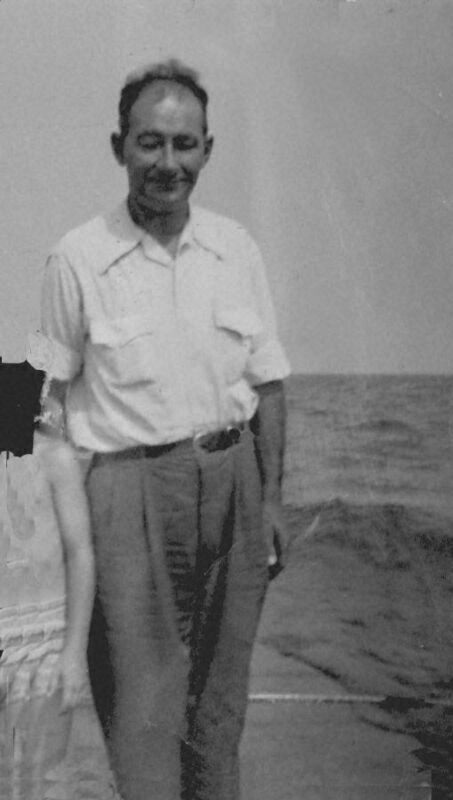 Click Here's a short story of my Real Uncle Joe, the Real GI Joe in WWII. He was one of the finest people that you would ever meet. My Uncle Joe always did good things and had good things to say about people. He was a Disabled Veteran and a VFW Member, Veterans of Foreign Wars. He never talked about the war to me, I guess that was because I was just a little kid, but he did indeed see heavy combat. This the story that my mom told me about his combat experience. One day he was in a huge battle in the Pacific in WWII. It was terrible and both sides took tremendous losses. At night the battle stopped and my Uncle Joe slept in a bomb crater. The next morning, when he woke up, he noticed that the crater was full of snakes. That was the end of the war for my Uncle Joe. He ended up with Post Traumatic Stress Disorders, PTSD. Back in those days they never used this term, they just said that he cracked under battle. But, Uncle Joe was always a gentle and polite man who lived in the community of Pullman on the South Side of Chicago. He was always in a parade wearing his military uniform. One day, after I moved to a different neighborhood and started grade school, I was with my friends and watched a parade coming down 103rd Street and ending in Fernwood Park. I didn't know that my Uncle Joe was in the parade, but my friends and I followed it to the park and watched the military ceremonies afterwards. There was Uncle Joe standing at attention with his rifle. I told my friends that, that was my Uncle Joe, but they didn't believe me. So I quietly said, "Uncle Joe, Uncle Joe." He was standing at attention and couldn't say anything or even move. But I persisted and he slightly turned around and said, Shussssssh, Shusssssh. Well that was my Uncle Joe, I was so proud of him and to see him in the parade. It made me the big shot with all of my friends. He passed away when I was stationed on the USS Kitty Hawk on a West Pac Cruise in the Western Pacific, in the same areas where he fought thirty years ago for our rights and freedoms. I miss my Uncle Joe, he was a good man and never caused anyone any trouble. He served his country with everything he had and he was proud to be in the service. 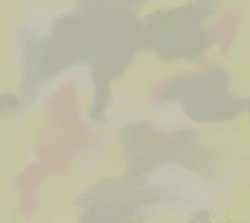 In the picture you see My Uncle Joe, Disabled Veteran from WWII. 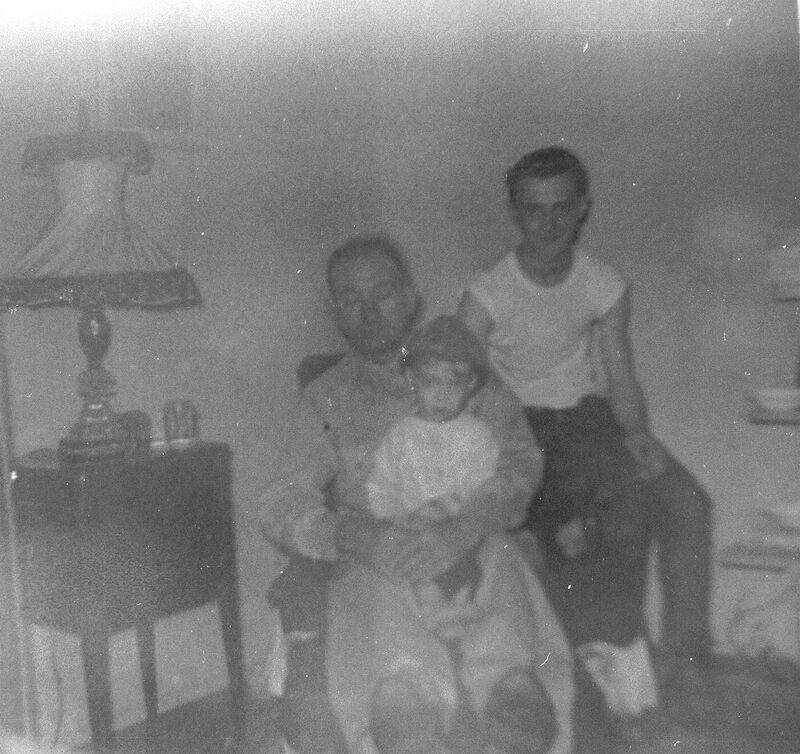 My older brother, Sergeant James Seth Dyrek, Disabled Veteran, Viet Nam War, and the little boy is me, Jeff Dyrek, Disabled Veteran, Viet Nam Era. To the left is my brother Jimmy in Viet Nam. From what I understand he spent three tours of duty in Viet Nam, one year in Ethiopia, a year in Korea and also a year in Alaska teaching Arctic Survival. He loved his work for all of his 23 years in the service before he became disabled. He was in the Army, but worked on Ships. I was in the Navy and worked on Airplanes. I had two brothers in the Army and two in the Air Force, but I was the odd ball and went into the Navy. 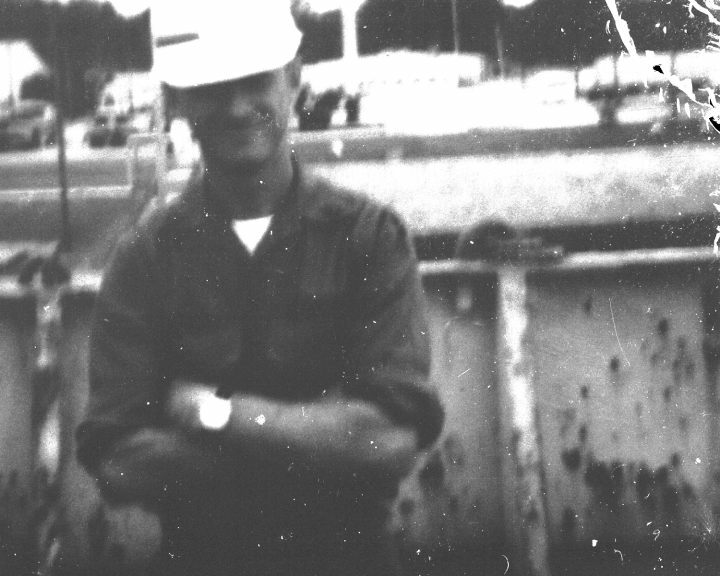 Jimmy said that when he was in Viet Nam, he felt the duty of going to work. There was a reason to get up in the morning. He also liked Korea very much and said that the Koreans were great people and liked them very much. In Pusan, he designed the port. He designed where the planes landed, the trucks came in, where the trains came in and where the ships docked and they built the entire base to his specifications. Jimmy was a GI Joe too. On the right is my oldest brother John Dyrek, United States Air Force. He was a young man then. He went to Viet Nam and told me the story of how he was flying in a helicopter just above the trees. Suddenly he heard a noise that sounded like hail hitting the helicopter, except it was coming from the bottom. It wasn't hail, it was machine gun fire. John was the leader of the family and taught all of his little brothers how to do things. We are all military members. All Ham Radio operators, all involved in aviation. Today, John has something like forty years in the service and has just recently retired. Take a look at the generals on TV and look at the ones with all of the medals. If you saw a picture of John today, with all of his medals, they go from the top of the pocket to the bottom of his jacket. He has four times more medals than any General that I have ever seen today. John has been there and done that. But the greatest thing that he did was to teach all of us kids the right way to do things, the right way to act and the right way to stay out of trouble. Service to his country doesn't just mean serving in the military, it means serving our country on a day to day basis, always setting a good example and sticking to it. Thank you John, I appreciate all of the things that you have done for all of our family and our country. 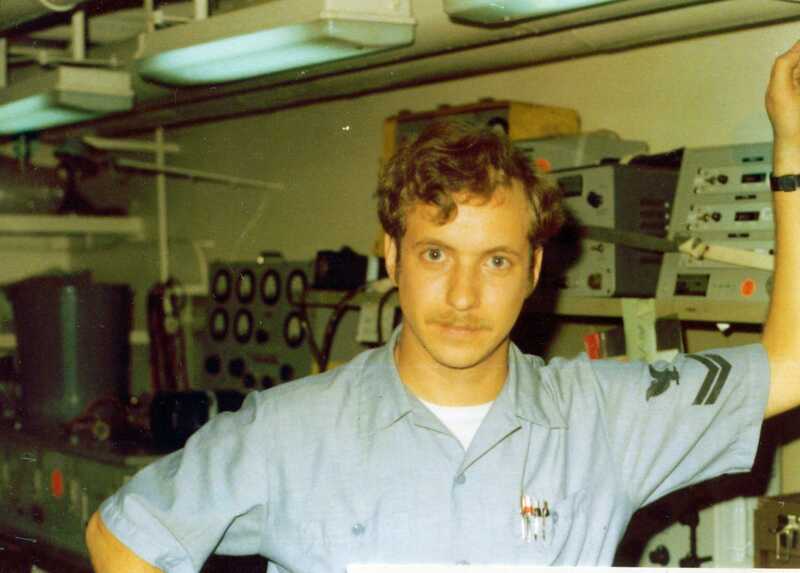 On the left is Petty Officer Second Class, Jeff Dyrek in the IM-5 Division Electronics Shop on the USS Kitty Hawk. Ten to Fifteen years later than my brothers, I too was still a Viet Nam Era Veteran. I served six years in the U.S. Navy then worked for the Department of the Army for another six years until my disabilities became so bad that I was no longer able to work. Read the Webmasters Story, "Why God Sent Me to the North Pole." 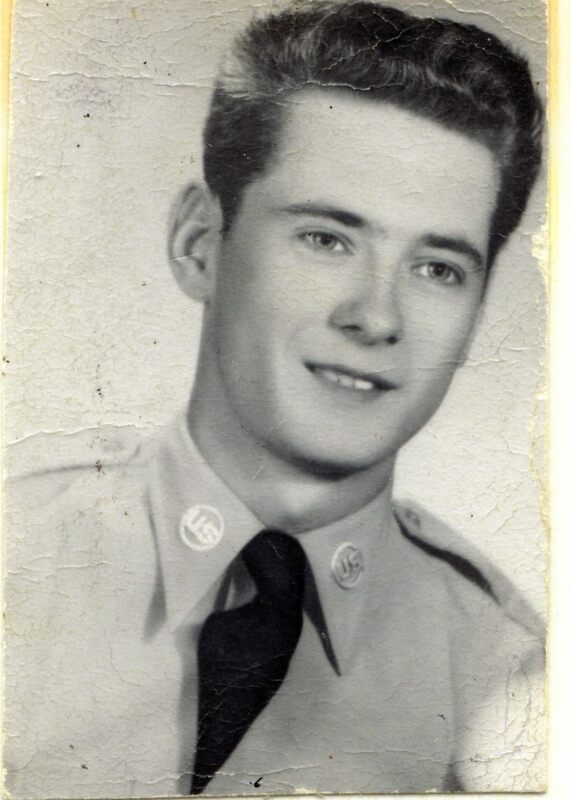 I'm sorry that I don't have any pictures of my other brothers in uniform scanned into the computer, but all of five of the Dyrek boys did serve in the military, two became service connected disabled as did my Uncle Joe. We have all received Honorable Discharges and every one of us worked hard at our jobs.